“You want to stay nice and straight, like an arrow. That way you’ll float to the surface.” There are some things you sign up for in life where it’s best not to know what you’re getting into. Canyoning is one. I’m only trying it because a girl I met the day before in Bled told me it was a life-changing experience. And that, for me, is like a red rag to a bull. 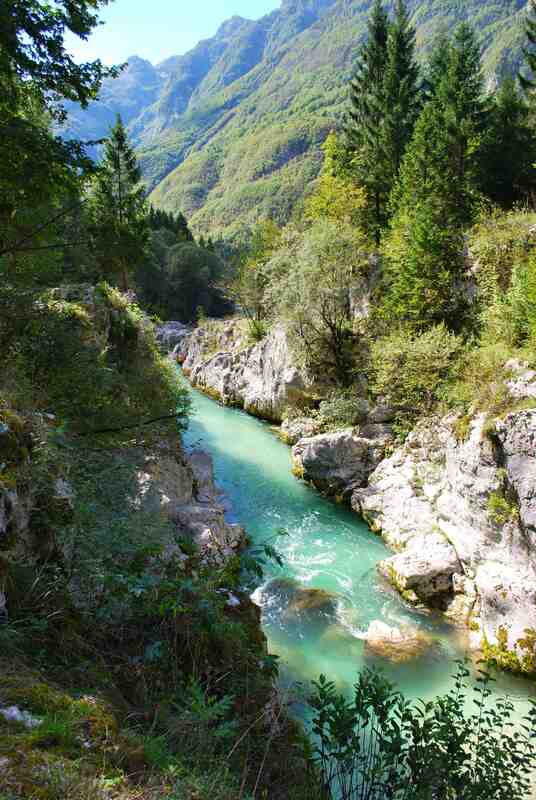 Canyoning has only been on the scene in Slovenia for the past few years, but it’s fast becoming a must-try activity. 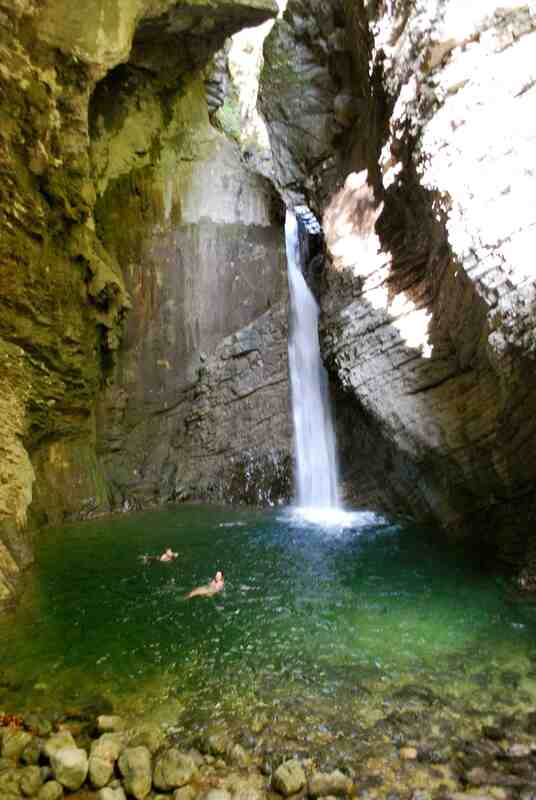 It involves climbing, jumping, abseiling and swimming through natural mountain watercourses. 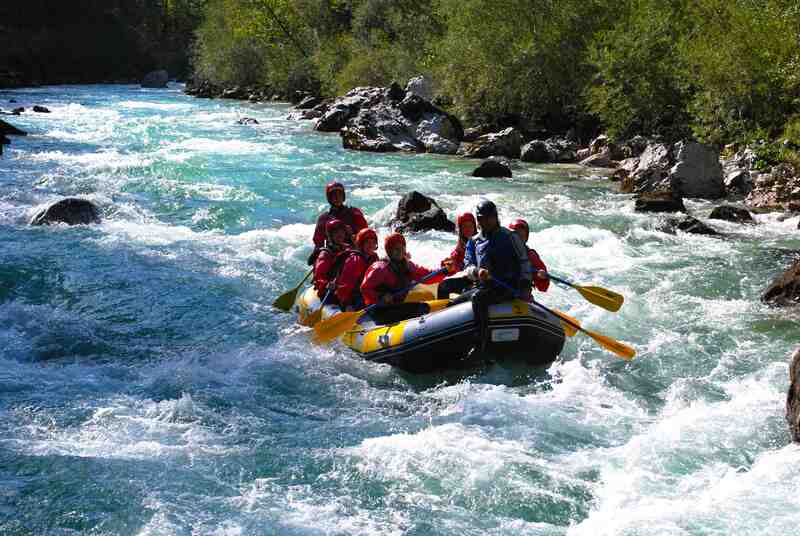 The area around Bled, at the foot of the Julian Alps, is perfect for such things. It’s what my guide calls “god’s own water park”. Luckily, ‘Canyoning Bob’, aka Robert Zerovec, is the best in the business, and, during the course of our day, takes us swimming through underwater holes, sliding down waterfalls and abseiling concave cliffs. For the finale, we plunge 12ft into a turquoise pool that wouldn’t have looked out of place in The Beach. “Lastly,” he shouts, “I want you to walk into that fast-flowing river over there, lie down on your backs with your feet in front of you, and let the water carry you back to the car park.” It’s madness, I tell you. But really fun madness. 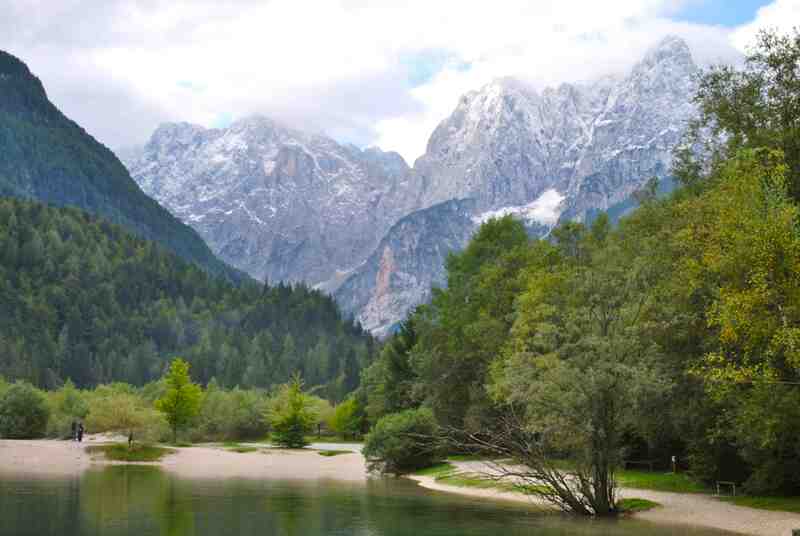 Roughly the size of Wales, and half the size of Switzerland, Slovenia is a pocket-sized wonder. The Alps run along the north; pristine lakes, karst caves and forests abound in the middle; and there’s a snippet of Adriatic coastline to the west. Bled – the backpacking hub, famous for its picture-postcard castle on the lake – is an adrenaline junkie’s dream. Paragliding, skydiving, white-water rafting … you name it, you can do it here. It’s also cheap by European standards, and jaw-droppingly beautiful. I’ve experienced two amazing trips here, and felt mega healthy and fit after each one. All that mountain air and greenery works wonders for body and soul. 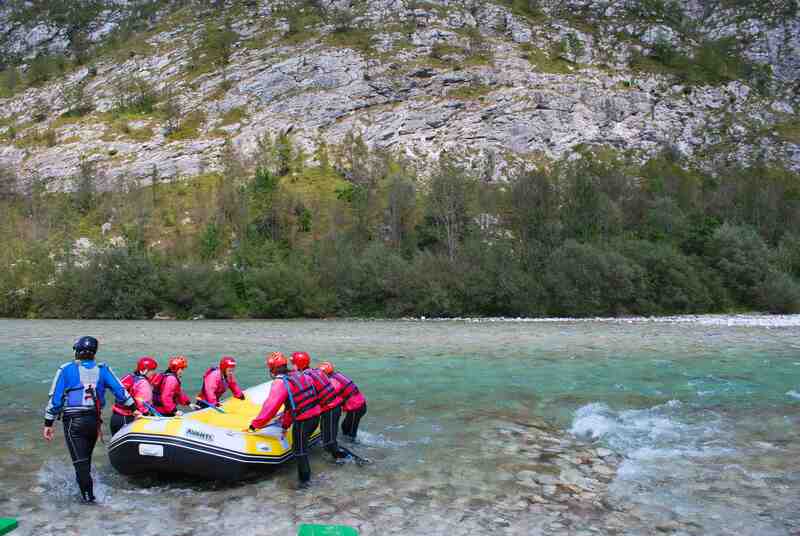 The rafting in Slovenia is some of the best in the world, with miles of turquoise blue waters to navigate, and excellent guides to show you a good time. Mid-way through our trip, our guide “Jack Black”, hauls our raft up against a huge rock jutting out of the river and turns it upside down to fashion it into a waterslide. Thank goodness for our helmets because we then proceed to hurl ourselves headfirst down the raft into the chilly gushing waters below. Exhilarating, natural fun. I arrive by bus from Istria, after camping on the Croatian coast. And I’m soon making friends. In Ljubljana, I meet the Environment Centre’s Nina, who lends me a bright orange bike. Each day I return, chat about politics, then borrow the bike. Slovenes are a friendly bunch, speak excellent English, and are passionate about their environment. Rightly so, living in third most forested country in Europe, with more than half the land covered in trees. Bohinj, a lake resort on the edge of the Triglav National Park, is only an hour from Ljubljana by bus. The huge lake is surrounded by forested hills; on one side is a campsite, where I pitch my tent to rest up before embarking on a trek. Even in August, Bohinj gets pretty darn chilly once the sun goes down, so take extra clothes and blankets. But it’s worth it to sleep under the stars, and wake to see mist rolling up off the lake. The water here is so clear, I can see my own shadow on the lake bed while I swim. The Julian Alps have miles of trails to explore, and Triglav, the country’s highest peak at 2864m, is a popular two- or three-day trip. But there are infinite routes to try, and mountain huts (called koca or dom) in which to sleep or eat. They’re independent, family-run affairs, and are only an hour or so apart. 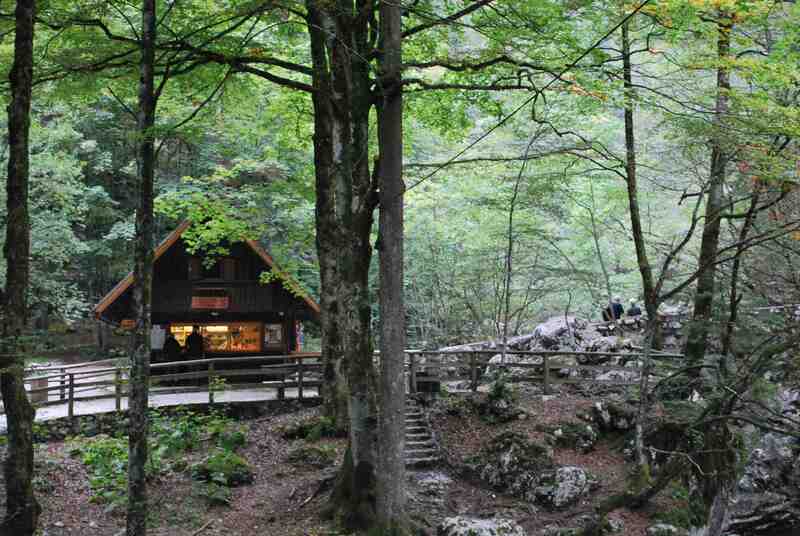 Most have private rooms and dorms to rent (about £15pn), some have showers, and all have cosy kitchens where you can refuel on traditional mountain dishes, cooked by a Slovene mother or grandmother hunched over an elaborate stove. I set off from the campsite without a fixed plan, but end up trekking for three days by myself. On my first night I’m the only guest in the whole hut; on my second, I share a dorm with six other people. Not many people speak English out here, but thankfully Nina from Ljubljana has written me a list of foods to eat in the mountains, so everywhere I go I point to my piece of paper, and see what appears. I try ricet – a thick barley stew; Štruklji – curd-filled pancakes; and the best homemade soup ever. Slovenia also has really delicious herbal teas. On my last day, I stumble upon the cottage of a lady who keeps goats, and sells all manner of cheese from her garden. I sit there for hours watching her round up the animals into a pen, while I sip Turkish coffee in the sunshine, devouring homemade cheesecake. It feels like something from a fairy tale. But that just about sums up Slovenia.